Man City: any challenge from Utd, Chelsea, Liverpool? 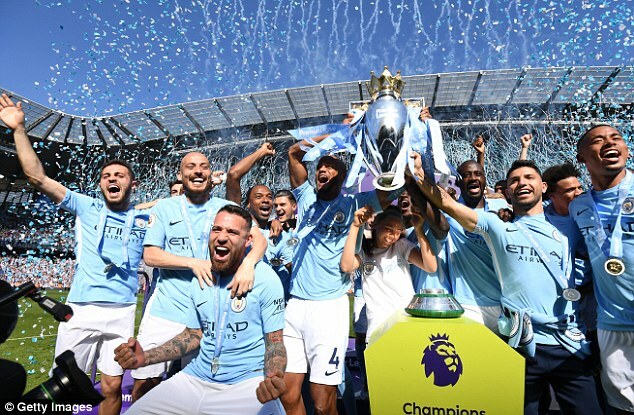 With 100 points won, 106 goals scored and a 19-point gap to their nearest challengers, Manchester City’s Premier League title win last season could not have been more emphatic. Pep Guardiola‘s team produced some of the finest football the English top-flight has ever seen to leave their rivals floored. Now comes the challenge of defending that title with the true mark of a top class team being their appetite for success, season after season. As the big kick-off approaches, Sportsmail takes a look at what City have done to strengthen this summer and what their top six rivals have done to try to catch them. Guardiola’s City would still enter the forthcoming season as favourites to retain their title even if they didn’t spend a penny in this summer’s transfer market. Such was the swashbuckling style of their football last season, City’s squad really doesn’t need a great deal of upgrading. But a serial winner like Guardiola knows full well that the best teams never stand still and that is why he has delved into City’s virtually limitless financial resources to strengthen his squad. They wrapped up the signing of Leicester City’s creator-in-chief Riyad Mahrez at the start of this month, breaking their previous club record by spending £60million. Guardiola had wanted to sign the Algerian back in January but was unsuccessful, so he will be delighted to have finally got his man. Of course, City aren’t exactly light on attacking talent with the likes of Kevin De Bruyne, Raheem Sterling, Leroy Sane and David Silva to pick passes through opposition defences. But Mahrez will undoubtedly offer another option and something a little different and only adds to the aura of their forward line. Guardiola will be annoyed to have missed out on key target Jorginho, with the midfielder choosing to reunite with his former Napoli manager Maurizio Sarri at Chelsea in a deal worth £57m. Though City bristled at Jorginho’s decision, and called Chelsea ‘unprofessional’, they could easily turn their sights to other targets prior to the earlier-than-usual close of the summer transfer window on August 9. As their noisy neighbours celebrated, it was a season of crushing disappointment for Jose Mourinho and Manchester United across the city. Not only did they finish a distant second to City in the Premier League, they crashed out of the Champions League to Sevilla and lost the FA Cup final to Chelsea. 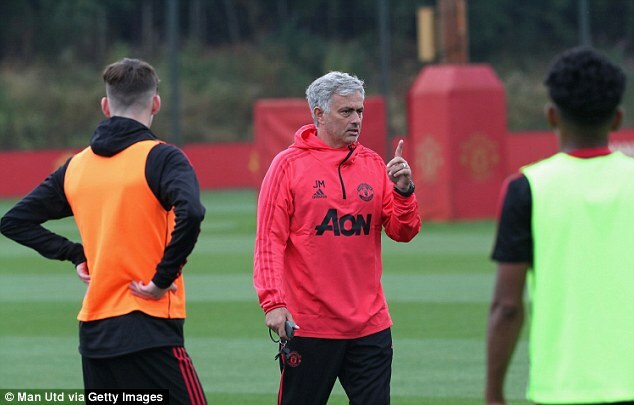 Mourinho is well aware that United must sustain a title challenge in the season ahead, otherwise it could spell the end of his time at Old Trafford. 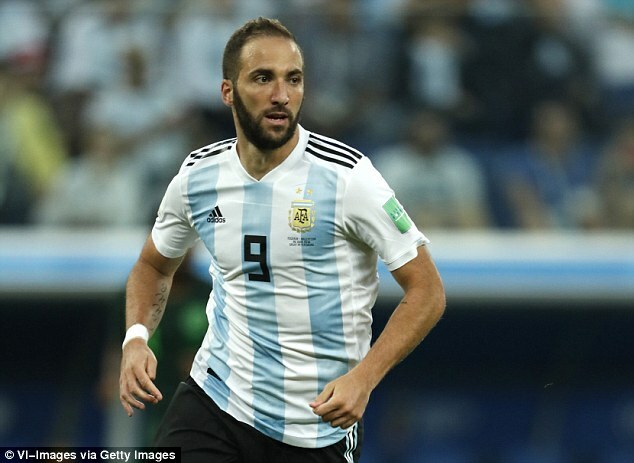 Luckily, such is United’s financial clout, he has once again been backed in the transfer market – despite a few recent signings struggling to show their best. 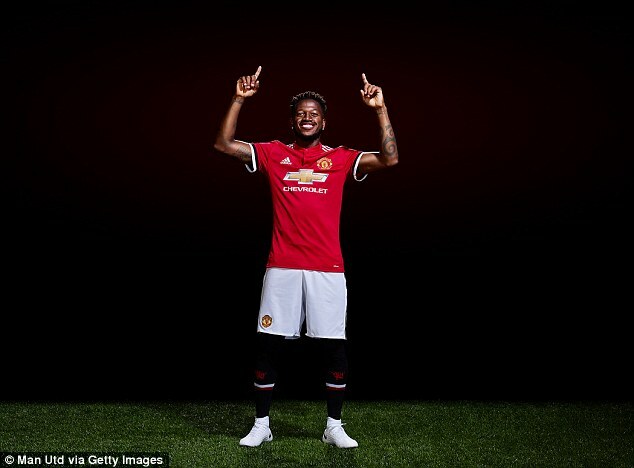 United are pinning their hopes on £52m Brazilian Fred to add steel and drive to their midfield, as well as liberating Paul Pogba to show more of his marauding attacking play. The fact that Pogba will return for pre-season a World Cup winner after France’s triumph in Russia only increases the pressure on Mourinho to get the best out of him next season. It’s fair to say that Pogba hasn’t quite been the powerhouse they expected for their £89m outlay two years ago, but starred in France’s World Cup victory out in Russia. Others such as Alexis Sanchez and Marcus Rashford have been hit and miss under Mourinho and will hope to hit the ground running this term. The next priority is to galvanise the back line. United have already signed talented young defender Diogo Dalot from Porto, but Mourinho will probably feel they need more. 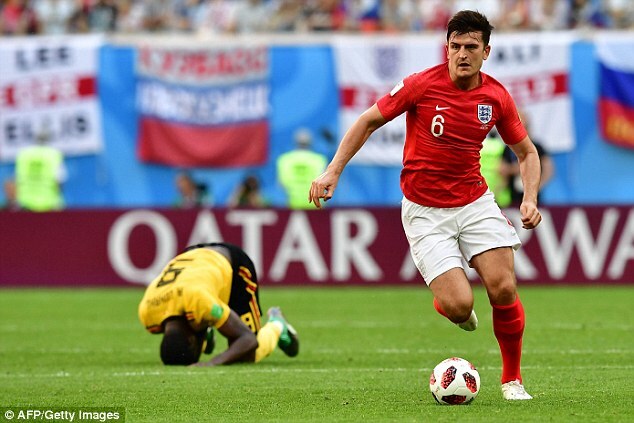 They are interested in Harry Maguire, the £50m-rated Leicester centre-half who returns from the World Cup with England with his reputation enhanced and who would be commanding in both penalty boxes. United conceded a lot of preventable goals last season but they were often disjointed going forward as well, falling short in several significant matches. It may be that Mourinho now has all the pieces of the jigsaw but needs to better arrange and motivate them in order to actually challenge City next season. If Tottenham fans are feeling a sense of deja-vu right now, that’s perfectly understandable. Once again, we’re deep into the summer and the ‘Players In’ column remains blank. With an already bloated market further inflated by the World Cup, Spurs’ hierarchy clearly aren’t going to spend for the sake of it, especially with a plush new stadium to finance. Tottenham’s success so far this summer has been in securing what they already have. 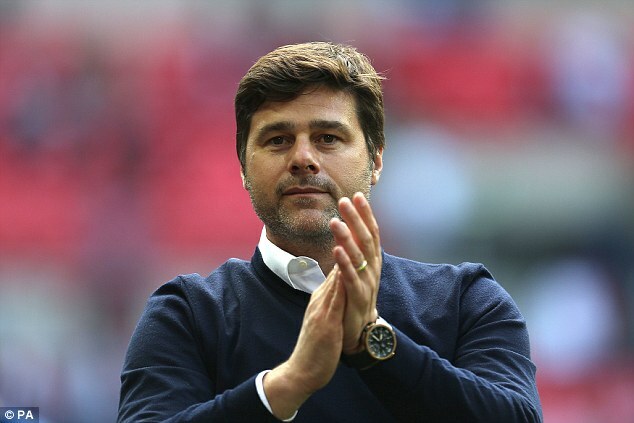 Manager Mauricio Pochettino signed a five-year contract extension back in May, just before the Real Madrid job became available. They also managed to tie down their biggest asset, Harry Kane, on a £200,000-a-week deal before he won the Golden Boot at the World Cup in Russia. But Dele Alli and Christian Eriksen have yet to commit beyond their current deals and the club are open to offers for defender Toby Alderweireld, who has been linked with a move to Manchester United. They remain a work in progress under Pochettino, with signs of improvement year on year, and clearly boast a talented squad which perhaps doesn’t require a lot of tinkering. Unfortunately, an unchanged line-up isn’t likely to inspire confidence in a sustained challenge to the Manchester clubs in the season to come. Liverpool’s transfer business so far this summer has certainly been the most eye-catching of the top six. Another season of progress under Jurgen Klopp saw them reach a Champions League final and the German has certainly been backed in the transfer market to deliver a proper Premier League title push. Given that Liverpool defeated City three times last season, they’ll feel optimistic if they find the consistency to go toe-to-toe with them at the top of the table. 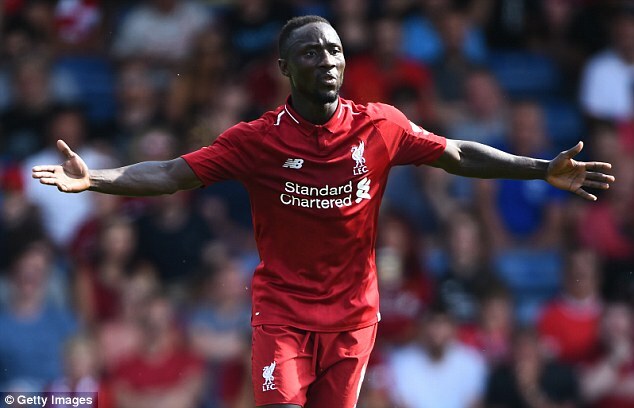 Naby Keita was already a done deal at the start of the summer and Liverpool fans will hope he brings boundless energy to their midfield pressing game. 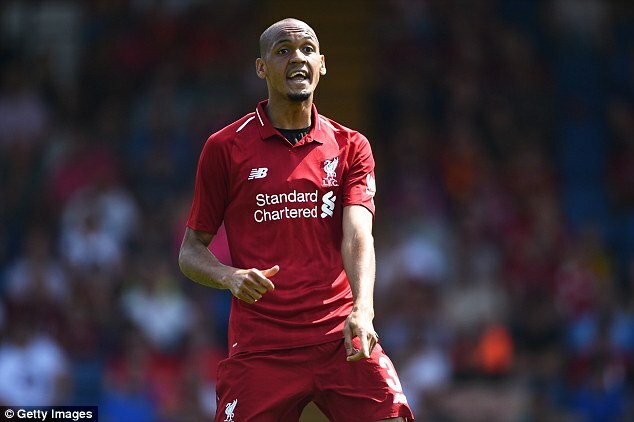 The £44m signing of Fabinho from Monaco was a definite statement of intent and adds further depth to the midfield following the departure of Emre Can to Juventus. Further forward, Klopp took advantage of Stoke’s relegation from the top flight to bring in Xherdan Shaqiri for a cut-price £13m and he’ll add another option to an already formidable attacking line-up. There also remains the possibility that Liverpool could resurrect their pursuit of Lyon’s Nabil Fekir, valued at £53m, though there were suspicions around his medical earlier in the summer. But if all these signings are exciting for Liverpool fans, there isn’t really any issue with their attacking flair. It’s at the back where the concerns are. Question marks remain over goalkeeper Loris Karius following his Champions League shambles, while some fans will want to see additional high-class reinforcement at the back. The Reds have tabled a £62m bid for Roma and Brazil goalkeeper Alisson in a bid to shore up their back-line and allow their attacking riches to flourish. But there’s no doubt Liverpool look more of a challenger to City for the season ahead. It’s been a summer of conflict and confusion at Stamford Bridge, a less-than-ideal preparation for a season in which Chelsea need to restore some pride. Antonio Conte signed off by winning the FA Cup, but a fifth-place finish in the league, missing out on Champions League football, was a real disaster. With uncertainty over Roman Abramovich’s ownership, Chelsea took an age to formally get rid of Conte, despite it being the worst kept secret in football. From one Italian to another, then, as Maurizio Sarri becomes the latest through the revolving door and it remains to be seen whether he can get Chelsea as close to the Premier League title as he did Napoli to Juventus in Serie A. 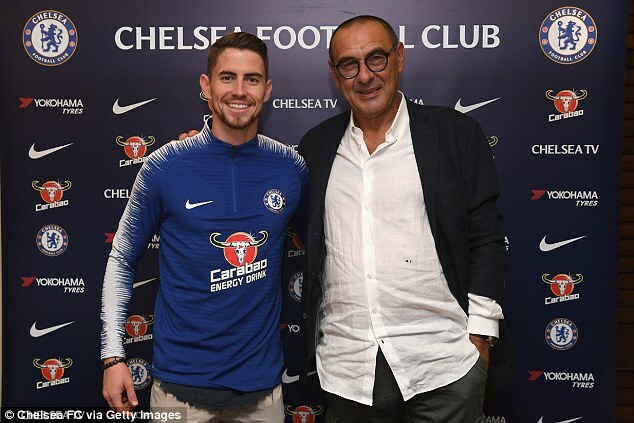 He made a positive initial impression by luring his former charge Jorginho to London from under the noses of City, paying £57m in the process. But that has been Chelsea’s only signing of the summer so far amid the uncertainty and they’re more likely to be losing key players before the transfer window closes. 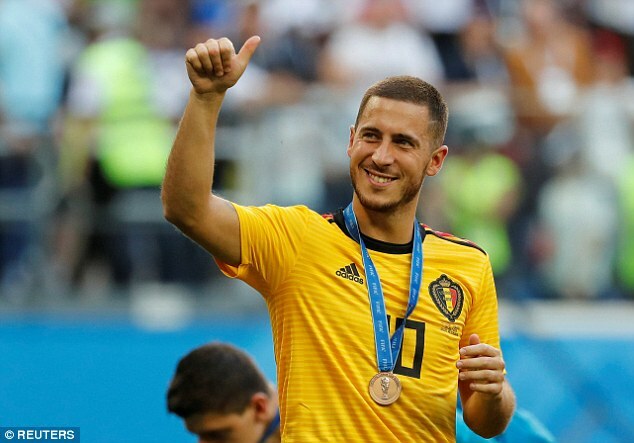 Eden Hazard could not be more explicit about his desire to join Real Madrid and goalkeeper Thibaut Courtois seems remarkably keen to join him. If that happens, time is likely to be tight for Sarri to bolster his squad by spending the – likely hefty – proceeds. Brazilian Alisson could replace Courtois, while the likes of Gonzalo Higuain and Aleksandr Golovin have also been linked. But the internal chaos of the summer has put Chelsea at a major disadvantage. Clubs know they are desperate and will happily stall or inflate prices knowing the English deadline has been brought forward. 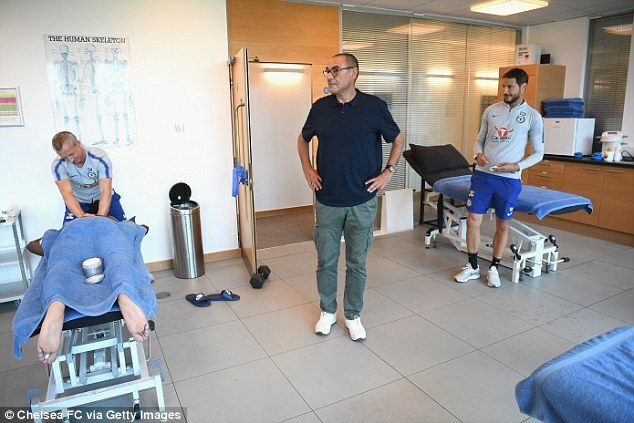 Chelsea’s hierarchy have their work cut out if Sarri is to have a squad at his disposal capable of getting anywhere near the title race. 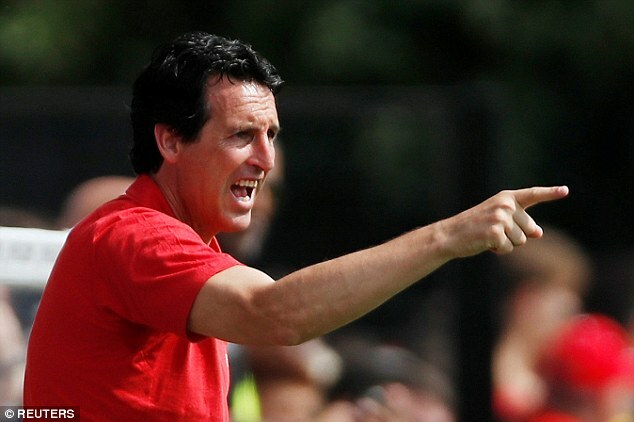 As the World Cup dominated the headlines, Arsenal have been quietly beginning the Unai Emery era with a series of signings and a clear-out of deadwood from the squad. Emery is obviously keen to leave his mark and create a clean break from Arsene Wenger’s tenure and, while there hasn’t been a jaw-dropping signing, they are all useful acquisitions. 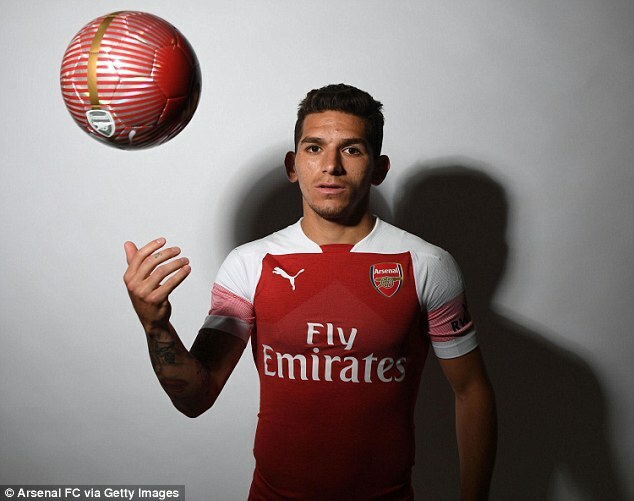 The most impressive is Lucas Torreira, who impressed for Uruguay at the World Cup and will hopefully add bite to an Arsenal midfield which has lacked it for several years. Bernd Leno has been signed from Bayer Leverkusen as the new goalkeeper, while defender Sokratis has a wealth of top-level experience with Borussia Dortmund. Likewise, Stephan Lichtsteiner who played some high-profile matches for Juventus. It’s the new broom needed at the Emirates Stadium and there is likely to be further signings to come. World Cup winner Steven Nzonzi is one potential target. Of course, a new-look squad means a high degree of uncertainty. Will it be good enough for Arsenal to reclaim their top-four status? Only time will tell.